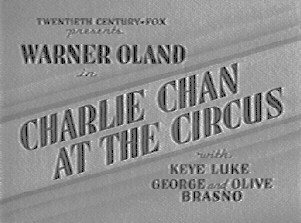 While ostensibly on vacation with his wife and twelve children, famed detective Charlie Chan visits a circus at just the right time to become involved in the murder of one of the circus owners. Chan is prevailed upon to travel with the circus in hopes of discovering the killer before he, she - or it - strikes again. © 2000 Juggling Information Service. All Rights Reserved.